Big love to my wonderful clients Ben and Toria for taking the time to write this lovely review about their wedding photography! 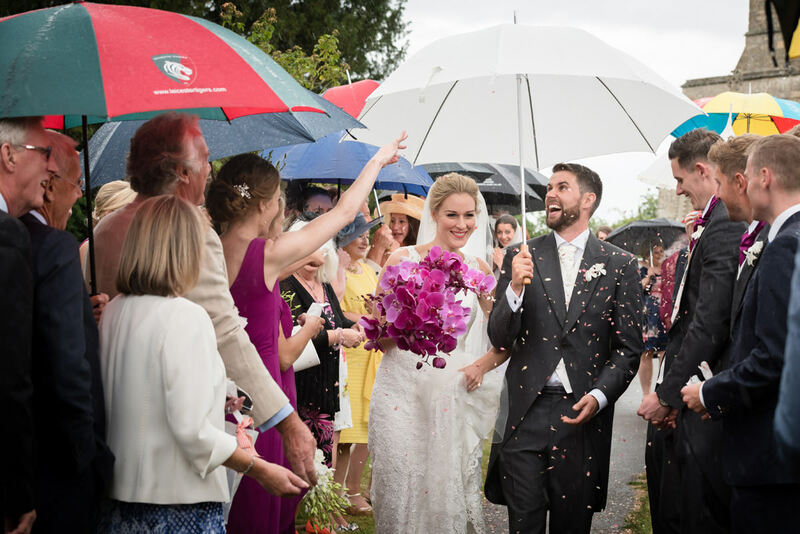 They had a summer wedding at Woodnewton church near Peterborough and Barnsdale Hall Hotel on Rutland Water; although you would think it was mid-winter it was that wet! “Myself and Tori are so pleased with how everything came out; we can’t stop looking at our photos. “My main concern about wedding photography was reliability and confidence to make sure people were where they needed to be to get the best group pictures etc. None of this came true; we both knew Sarah was great but it was just made even more clear watching you work on the day. “Also the constant contact she kept with us showed exactly what was happening each step of the way. “We wouldn’t change a thing. “My favourite thing, weirdly enough, was the pre-wedding shoot work we did over at the farm. I’m not comfortable in front of a camera at the best of times so doing this was a great help and allowed me to feel at ease on the day. “If you want to have a photography team that you can rely on to do the job right and be one thing you know you don’t need to worry about on the crazy days leading up to the wedding, Sarah Vivienne Photography are people to choose; totally worth every penny and real pros. Are you planning a wedding at Woodnewton church or Barnsdale Hall?